Description: Rice University maintenance personnel observed that leaks in the Geology Building occurred each time it rained. The leaks originated from the roof fro where water drained into the 3rd floor main restroom, flooding it instantly. TDT Plumbing was again contacted to implement their proven lining solution system to return the Rice University Geology Building roof drain to better than new condition. 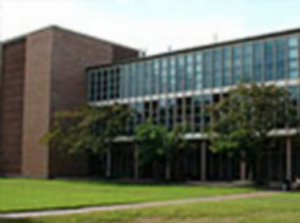 The Rice University’s Geology Building is a 3-story, educational facility located on campus at Rice University in Houston, Texas. Rice University maintenance personnel observed that leaks in the Geology Building occurred each time it rained. The leaks originated from the roof where water drained into the 3rd floor main restroom, flooding it instantly. The leak was located in the roof’s 3â€ cast iron drain. Restricted access to the drain line made it impossible for university maintenance personnel to address the problem. A proven, professional plumber was required. Rice University experienced a similar drain failure at the Biology building two years earlier that was resolved by TDT Plumbing quickly, effectively and conclusively. TDT Plumbing was again contacted to implement their proven lining solution system to return the Rice University Geology Building roof drain to better than new condition. 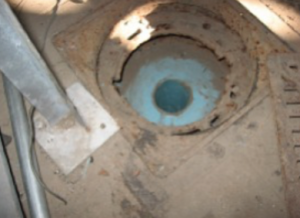 The drain line was restored in two days utilizing the ACE Duraflo® pipe lining system. No destruction occurred to the walls or ceiling and the building suffered no downtime during the restoration process.